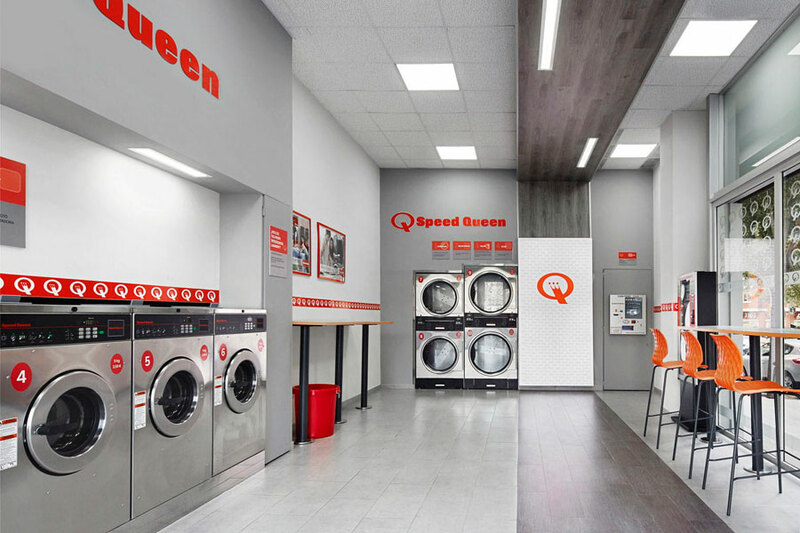 Speed ​​Queen manufactures two main categories of professional washing machines – hard mounts and soft mounts – and offers investors a complete range of industrial machines. Hard mounts are machines known as “rigid” because they have no suspension. 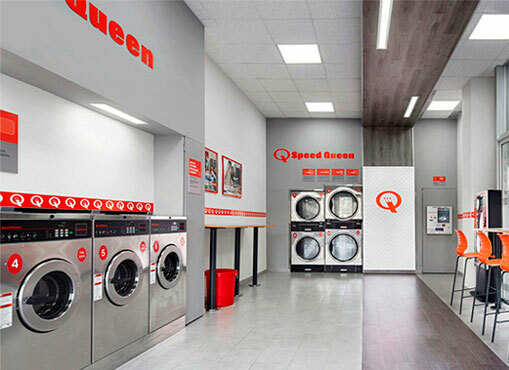 During spinning, the vibrations are transmitted to the floor: the washer must be firmly fixed and the floor able to absorb the force of the machines. A thick concrete slab and “chemical” screws are necessary. Hard mount machines appeal for their robustness, their sleek design and their price. Soft mount machines are equipped with a suspension system that absorbs the shock of spinning. This characteristic allows much more powerful spinning, up to 350 g / 400 g extraction force. The suspended wringers are designed for any type of surface: a few brackets are enough to hold them in place. Structure and components: facade, hinges, drum and bucket are made of stainless steel. Suspension: coil springs and shock absorbers are designed to absorb as much vibration as possible. Spin: Factor G350 to 400 reduces drying times for greater electricity savings. Cycle tracking at each stage.